Designed by mint sculptors Gilroy Roberts and Frank Gasparro, this coin paid homage to the recently assassinated 35th President of the United States John F. Kennedy. Upon release, many silver halves were hoarded by collectors and the general public with the increase in the price of silver. The obverse featured the profiled bust of Benjamin Franklin with the date appearing to the right. The modified reverse features the Liberty Bell depicting the infamous crack. The small eagle on the reverse was another reason for complaints, as it depicted the bald eagle in an unmajestic fashion. The reverse features a bald eagle ascending from a perched position. pure silver and a total weight of 12.50 grams. Platinum Bullion. Silver Bullion. Gold Bullion. Paper Currency. Jewelry and Watches. The first pieces were struck beginning in 1932, and by August 1st, 1932 the Washington quarter began it’s almost 70 year circulation. In 1965, the U.S. Mint ceased to strike the quarter in 90% silver, and instead it was replaced with a copper-nickel alloy. New Listing2019-W Lowell Quarter Brilliant Unc - Great American Coin Hunt - SHIPS FREE! 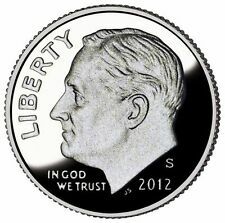 2019-W Lowell Quarter Brilliant Unc - Great American Coin Hunt - SHIPS FREE!. Shipped with USPS First Class Package. Coins will not have holes or be bent. 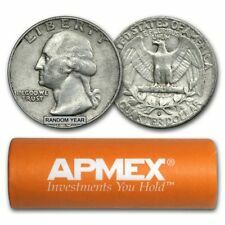 Because the degree of wear on the coins can vary, the weight of the silver in each roll can also vary. Purchasing 90% Silver U.S. Coins is a popular choice because of the low premium over silver spot. You will receive mixed dates/mints. All coins will have dates, no holed or bent coins. These 1964 Kennedies are the only year that a standard issue Kennedy was struck in 90% silver. 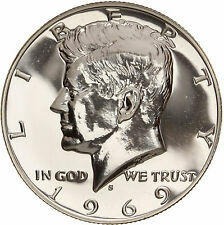 From 1965-1969, Kennedies were struck in 40% silver. Philadelphia Mint. Designed by Gilroy Roberts.36169 oz pure silver. THESE COIN ROLLS ARE UNSEARCHED. I CANNOT GUARANTY THAT YOU WILL FIND ANY UNUSUAL OR VALUABLE COINS. THEY ARE CIRCULATED AND HAVE BEEN ROLLED BY BRINKS AND HAVE NOT BEEN SEARCHED FOR SPECIAL OR UNIQUE COINS. 2019 US Mint Proof Silver Set (10 1 coins, includes the Bonus Coin: Reverse Proof W Penny). 2019 Silver Proof Set (10 1 coins). The 2019 United States Mint Proof Set® contains 10 coins, each bearing the “S” mint mark of the U.S. Mint at San Francisco. I don't inflate my prices. So if I get the coins cheap, so do you. All I do is load the rolls, I don't go through them looking for dates, or good conditions ones. I pulled a few hundred to get an idea about what was in the lot; most were 40's-50's, not a lot of pre 40's, and mints were lacking. Just released are the special minted "W" mint mark Lowell quarter from the U. S. Mint. Nice luster and in uncirculated condition from the West Point mint. These sets were minted to celebrate Apollo 11's 50th anniversary and the first manned Moon landing on July 20, 1969. One Kennedy. The U. S. Mint web site is stating that this set is " Currently Unavailable" (i.e. Sold Out). These coins are fresh from silver proof sets. The picture is of a clad coin, but you will get a silver coin. Got my sets this morning. 90% Silver US Coin. Photo is typical of the coin you will receive. $'); } --> 1956 U.S. PROOF SET. Flat Pack. The coins are hermetically sealed in the original mint cello flat pack with the mint COA sticker sealed with the coins as well OUR MAIN GOAL and FOCUS IS YOUR SATISFACTION and TRUST Please read our FULL description/presentment below before ordering. We do not accept offers for less than the eBay price nor do we end auctions early. We have condensed 56 years of selling mail order into a comprehensive presentment to ensure your satisfaction. Regarding the Condition of the Packaging of Proof and Mint Sets PROOF AND MINT SETS ARE THE BEST COINS THE U.S. MINT PRODUCES "We are selling coins not packaging." Our sets are above market standards as traded between dealers. These sets have passed through one or more hands since they left the mint. 2019 S SILVER Proof Set 10 Coins With Box & COA Without Extra W Mint Mark Lincoln Penny. No Cherry Pick /Fresh set Straight from US Mint/ The 10 Coins Set Never sent to Graders . Lincoln penny. · One 99.9%silver. √ 2019 P Philadelphia Biz Strike. The Kennedy 4 coin set, pulled from the US Mint sets, is scheduled for release from the US Mint on May 1, 2019. √ 2019 D Denver Biz Strike. √ 2019 S Clad Proof. √ 2019 S 99.9% Silver Proof. 5 out of 5 stars - 1921 P ~**CHOICE AU/UNCIRCULATED**~ Silver Morgan Dollar Rare US Old Coin! 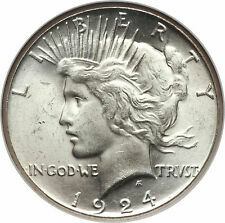 92 product ratings92 product ratings - 1921 P ~**CHOICE AU/UNCIRCULATED**~ Silver Morgan Dollar Rare US Old Coin! 2019 U.S. Mint 10-coin Silver Proof Set - OGP box & COA. The silver in these coins can be seen by viewing the edge of the coin in the lens. high quality strikes. The blanks are then fed into presses fitted with specially polished dies and struck at least twice to ensure sharp relief. Then from 1965-1970 the mint reduced the silver content to only 40% silver and then eventually in 1971 to clad. Grade Brilliant Uncirculated. Brilliant Uncirculated. Modern Rare Coins. Classic Rare Coins. (40) PCS- 2019 LOWELL "W" Mint Quarter- WESTPOINT- RARE- FIRST ROLL TO MARKET! We have been active in the coin industry since 1970. New this year! 2019 - S United States Mint 11 Coin Proof Set. One of the Mint’s signature products, it is a great addition to any collection or the perfect gift for a special occasion. The 2019 edition of the United States Mint Proof Set includes the following coins. New this year! The 2019 Silver Proof Coin Set is a great addition to any collection. 2019 - S SILVER United States Mint 11 Coin Proof Set. Behind her, an Atlas-Agena rocket launches into space, with an equation inscribed in its cloud. (1) Proof 1955 Washington Quarter (90% Silver). These are hand-picked proof sets with envelopes free of writing and tears. Each proof set contains the following coins. (1) Proof 1955 Lincoln Wheat Penny. 1890-CC $1 PCGS F12 Better Date Silver Morgan Dollar . Shipped with USPS First Class Package. GRADED 1890 CC F-12 MORGAN SILVER DOLLAR PCGS GRADED. Please email me with your questions. No international bidders please. Thank you for looking. It was the only year that the coin was 90% silver. Behind her, an Atlas-Agena rocket launches into space, with an equation inscribed in its cloud. The 2019-S United States Mint Proof Set contains 10 coins in stunning proof condition displayed in two clear plastic lenses. Lowest Price on eBay! Over 15,000+ rolls sold! 4 out of 5 stars - One Unsearched Half Dollar Roll- POSSIBLE 40% 90% Kennedy/Franklin Silver Coins! 45 product ratings45 product ratings - One Unsearched Half Dollar Roll- POSSIBLE 40% 90% Kennedy/Franklin Silver Coins! 1913-S Lincoln Wheat Cent Penny LOWEST PRICES ON THE BAY! ALL COINS ARE HAND PICKED FOR BEST QUALITY INCLUDING CHOCOLATE BROWN IN COLOR AND PROBLEM FREE. 4.5 out of 5 stars - 1913-S Lincoln Wheat Cent Penny LOWEST PRICES ON THE BAY! FREE SHIPPING! 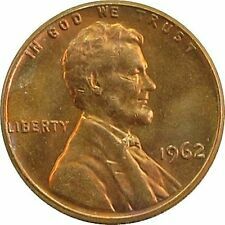 16 product ratings16 product ratings - 1913-S Lincoln Wheat Cent Penny LOWEST PRICES ON THE BAY! FREE SHIPPING! 2019 W Lowell National Park Quarter. Hand picked from bank rolls and guaranteed to be uncirculated. Listing is for (1) individual 2019 West Point Lowell National Park quarter. Don’t miss this opportunity to have a piece of historic coinage!!! These are circulated coins. All will have a readable date and no holes- but may have old cleaning, polishing, scratches, rim dings etc. The picture is indicative/representational of the quality of coins in this group. BUY 2 AT ONE TIME GET $5 OFF! GREAT GIFT IDEA! 2018 S Silver Reverse Proof Set. 50th Anniversary Set. . Shipped with USPS First Class Package. Up for sale is a 1970 US Coin Proof Set. This is a very nice set. The box has a little wear but that is to be expected on a set over 40 years old. I think it is nice but what do you think?. Discover rare finds and limited editions of U.S. coins in this group of eBay coins. From 5-cent pieces to half dollars to gold coins, you can get the pieces you want from eBay. While most people think of pennies, nickels, dimes, and quarters when they think of US coins, the government has produced varieties allowing the collector to choose from many different types of coinage for their collections. If you are a new collector, then there are many different things you need to consider before starting your collection. What type of coinage has the United States made? Half cent: Produced between 1793 and 1857, this copper money is about the size of a quarter and has a bust of Lady Liberty on the front and a wreath on the back. Large cent: Produced between 1793 and 1857, this copper money was a little bit bigger than quarters. Small cent: Starting in 1857, the government replaced the large cent with the small cent, made of 88% copper and 12% nickel. Two-cent piece: Produced between 1864 and 1873, the two-cent piece was made of copper. 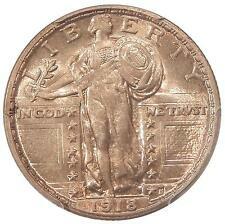 Three-cent piece: Produced between 1865 and 1889, this copper and nickel money was the first to be called a nickel. Half dime: Produced between 1793 and 1873, this silver money saw four different designs before production ceased. Twenty-cent piece: This almost-pure silver money appeared only between 1875 and 1878, and it was so close in size to the quarter that people had trouble telling them apart. Half dollar: The first half dollar was made in 1794, and it has had many different designs. Did the U.S. produce gold coins for regular circulation? Type one: Minted from 1849 to 1854, the obverse of these 13-millimeter coins features Lady Liberty facing to the left surrounded by 13 stars, while the reverse shows a wreath and the words United States of America along the rim and one dollar and the year in the middle. Type two: Minted from 1854 to 1856, Lady Liberty donned an Indian headdress for this 15-millimeter design, while the reverse remains virtually unchanged from type one. Type three: Minted from 1856 to 1889, the front of this coin is similar to the previous one except the headdress is in a more horizontal position. While the government made many of these coins, it only minted 400 in 1875.